European Parliament’s prestigious Sakharov Prize for Freedom of Thought. But at home, government harassment never stopped. The suffering has touched her entire family. In 1994, she’d married Reza Khandan, a graphic artist she’s described as “truly a modern man,” and they had two children. With her arrest in 2008, authorities imposed a travel ban on her daughter, then 12, and she and Nasrin’s toddler son were allowed to see their mother only from behind a glass screen. 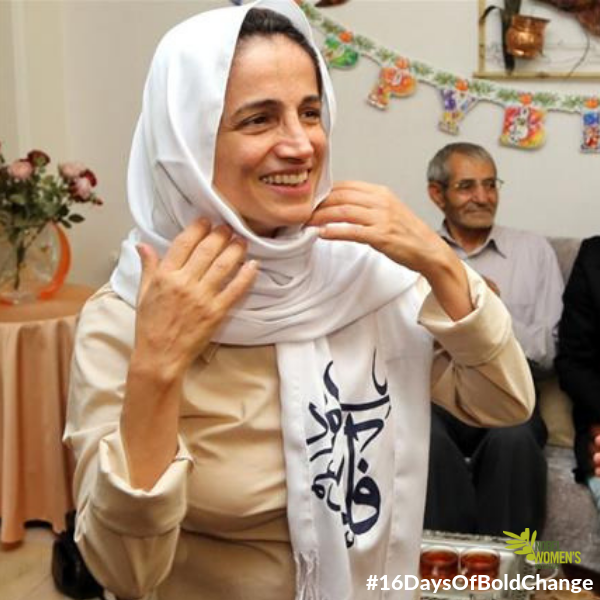 When Nasrin refused to wear a required full-length chador, the visits were cut off entirely.